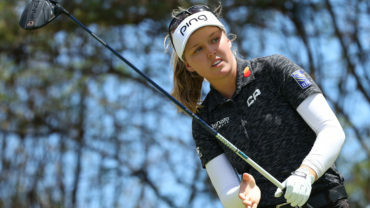 Jaye Marie Green fired a 10-under-par 62 on the Jones Course at LPGA International to set a course record and take the first-round lead at the LPGA Final Qualifying Tournament. The 19-year-old Boca Raton, Fla. native takes a four-shot lead over LPGA Tour veterans Tiffany Joh and Seon Hwa Lee heading into Thursday’s second round of the 90-hole event. As a 2013 Symetra Tour rookie, Green tallied four top-10 finishes in 15 events to end the season ranked 29th on the Volvik Race for the Card. 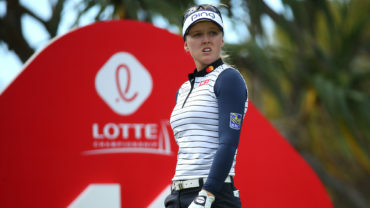 On Wednesday, she sent an early statement that she’s more than ready for the LPGA Tour as she carded 11 birdies and one bogey to leave her mark on the Jones Course at LPGA International. Green began her first round on the 10th tee and rattled off consecutive birdies on her first four holes. With two more birdies on the 16th and 18th holes, Green made the turn at 6-under. 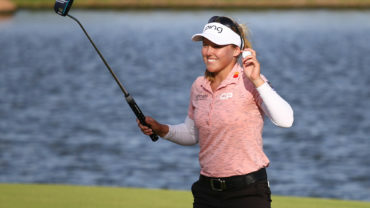 Her lone bogey of the day came on the par-3 sixth hole following birdies on three of the first five holes, and managed to finish her round with birdies on the final two holes. She says posting a 10-under-par score was much easier than expected. San Diego, Calif. native Joh, who also played the Jones Course, teed off on No. 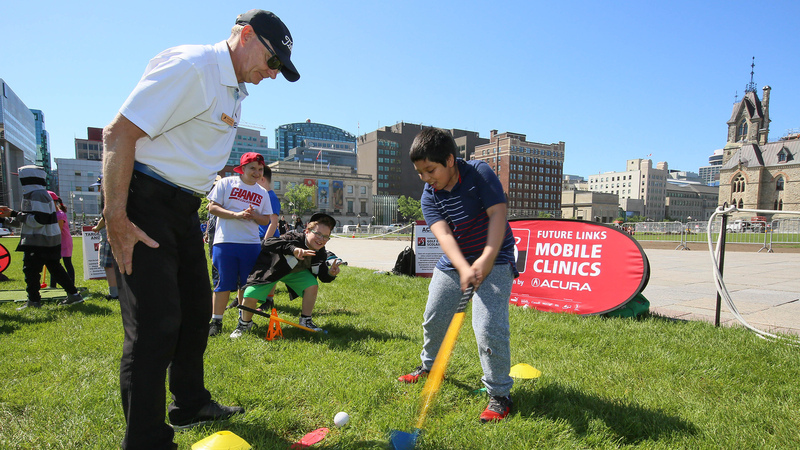 1 and began the day with a bogey on the fourth hole but quickly recovered with two birdies on the fifth and seventh holes. Joh admits after seeing the leaderboard while making the turn, an aggression set in for the back-nine as she went on to record five birdies to end the day in second place at 6-under 66. Sitting one stroke back at 5-under is a group of five which includes Ladies European Tour players Megan Grehan and Line Vedel, Japan native Haru Nomura, 2011 Symetra Tour Player of the Year Kathleen Ekey and 19-year LPGA veteran Nicole Jeray. Maude-Aimee Leblanc and Jennifer Kirby lead the 10 Canadian contingent in the field. The pair sit tied for 33rd with a slew of players at 1-under par. 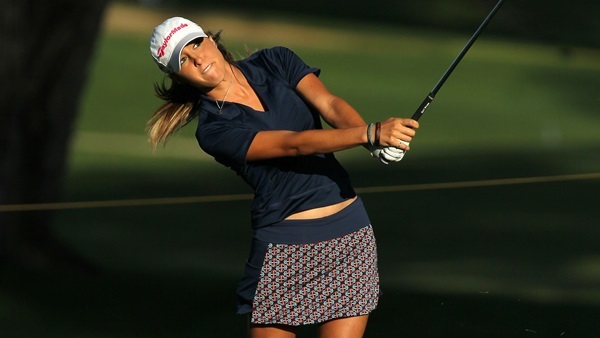 Lorie Kane is tied for 48th after recording an even par 72. The 90-hole tournament is staged at LPGA International, where 153 players will play the Jones and Hills courses twice, hoping to be among the top-70 and ties to advance to Sunday. After Sunday’s final round, the top-20 finishers will earn Category 12 status for the 2014 LPGA Tour season, while those who finish 21st through 45th and ties will earn Category 17.